Any of our paintings can be customized for your special occasion. the design to create a unique personalized heraldic gift for you. Hand crafted / hand painted medieval knight shield with gold painted rivets – metal shield comes with chain for hanging. ​- price is for two shields ! price is for two wall plaques ! and can be painted on canvas or watercolor paper . family crest on black background. Family crest hand painted on wooden plate. 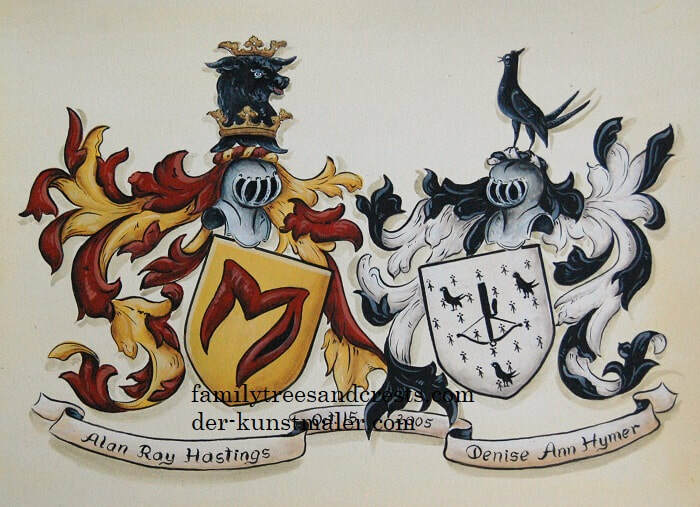 create your family crest from scratch there will be a small additional design fee.